How is it that training for races can sometimes take the joy out of running? 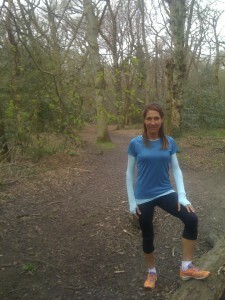 Recently my love of running had fizzled out- why? Because I was training for the Marathon. My runs no longer felt like “my own.” I was on a schedule- a rigorous, challenging and often joyless schedule. I felt frustrated and resentful that my running, which is my lifeline, my basic mode of making sense of the world, had been temporarily taken away from me. For 14 weeks, my runs were dictated by a precise and detailed training plan. It was rather like a a recipe, but without a yummy cake to tuck into at the end. I love plans and so having the structure was welcoming, with each day given a clear and unique type of run. Some days were speed sessions at Finsbury Park Track, others were Tempo runs with sections of the run done at maximum speed and the real challenge was the ever increasing Long Run (my longest being 24 miles). So my runs became all about building strength, speed, endurance and confidence that I could do the distance of 26.2 miles. They were not about day dreaming, meditating, rambling and exploring. I’m not complaining, because I had put myself in this situation- however it came at a price…the temporary loss of running joy.